BOTOX is one of the most popular treatments provided by our New Orleans and Metairie cosmetic surgery practices. This simple injection smoothens wrinkles and lines on the forehead and around the eyes, giving patients a softer, younger look. Derived from Botulinum Toxin Type A, which blocks the facial nerves, the skin's surface relaxes due to a temporary freezing of the muscles underneath. BOTOX is administered during an in-office appointment that typically lasts about 45 minutes. There is no downtime, no discomfort, and the results are a rejuvenated appearance that can last up to 4 months. "Love Botox - Metairie, LA - Very talented physician. He takes pride in his work and is an artist with the human body! Great with botox too! Only problem really is with injectabile fillers under eyes. Other than that, he is great, and I plan to go to him for future work! - - Got Botox 3 times since 2006. It can last about 8 months or so. I notice that the more I get it, the less i need it because it causes my muscles to stop wrinkling my skin, and over time my skin looks smoother and smoother. It is a great investment! I am in 40's but people guess me to be 25. (I also use a LOT of sunscreen faithfully which prevents other wrinkles as well.)" "I'm Hooked. The Results Are So Worth the Few Minutes of Discomfort - I was very nervous, I am not really one to have work done. the staff were very helpful and kind. They reassured me about my fears and helped me get the most discounts and coupons available. Everyone really made it an overall rewarding experience. - - I had heavy jowls appearing. It was very unattractive. During my consultation Dr. Khoobehi explained what he was going to do and the best way to avoid bruising and why he would do the procedure this way. he also told me about the benefits of botox and dysport. I trusted his opinion and I am so happy with the results. Halfway through the juvederm, he showed me the difference between the sides. The difference was immediate. I also now have arches in my brow from the botox that I never had before. I love it!! What was I worried about?!!" "Botox - Metairie, LA - he only has 10 years of experience which really concerns me and he does not have a specialty, he does everything which means he does not specialize. - - I had botox on July 17, in my forehead and by my eyes. It still has not taken effect yet, I do not believe he used enough. I wanted to get fillers for my face too but he insisted that I needed a facelift instead and that fillers were a waste in my case. however a face lift would invilve lots of scarring and major surgury which is thousands of dollars that I do not have." 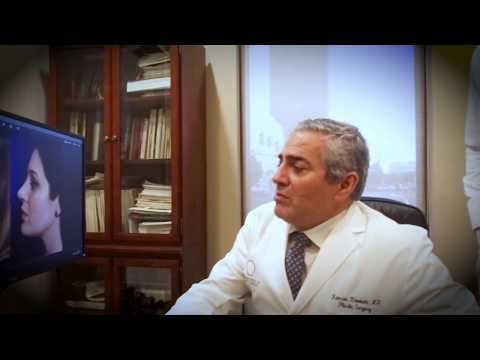 "At Age 55, I Already Had a Terrible Turkey Neck!! - Metairie, LA - I had the procedure done in the office and the Doctor and staff made me feel completely safe and well taken care of. 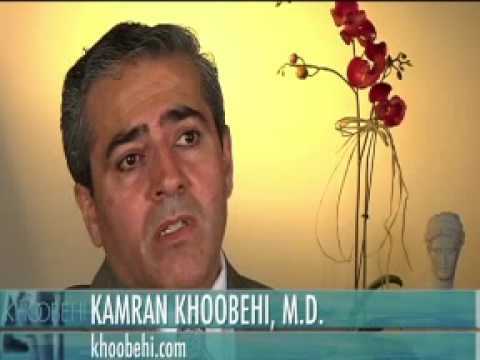 Dr. Khoobehi's experience is well known and it shows in the results. You may find a facelift cheaper, but the results would not be the same! Spend the money and get fabulous results ... I couldn't be happier! - - I am 55 years old, active, non smoker, non drinker, but over the years, my neck began to sag and ended up with a young attitude and old face! My neck was sagging terribly and my jowls were hanging! I have used Botox and Juvederm for the past 4 years but it was never enough and didn't last long enough. I am BEYOND thrilled with the results and would do it again in a heartbeat! The results are amazing!" A syringe of BOTOX averages about $265. Depending on the patient’s case, a session may use 1 to 3 syringes, or more. During the initial consultation, the practitioner will be able to assess how many units/syringes are needed to attain the patient’s desired results.